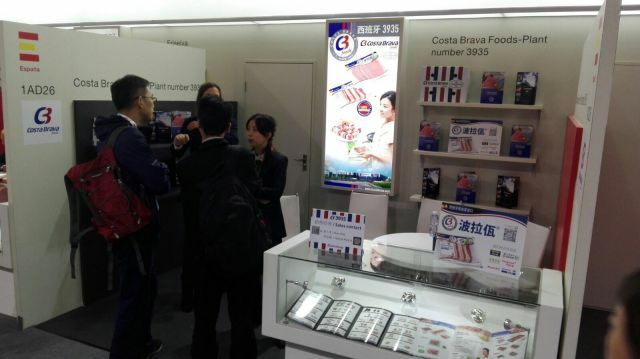 In the bet to Chinese market, Costa Brava Fods showed its entire range of products during the Shanghai FHC Fair, on November 14th to 16th. Being at this fair, the company strengthens its commercial ties with the Food Service channel and consolidates its presence in the largest supermarkets in the Asian country under the trade name "Bolava". Among the innovations for the final consumer, there was the creation of the Costa Brava Foods profile in WeChat, the largest social network used in China.